Or the rino's will defect to the dim party. McCON-nel has always jumped at the chance to accept Dims into the party, thing is, there's not one moderate left on the left, so the only alternative leftist, is for RINO to flood the Dim party and push it back to the right, just like the Dims did to the GOP by pushing it further left. Wouldn't that be a hoot? Democrats are leaving the party and will be replaced by the RINOS and the democrats are basically now just a bunch of fascists. They should change the name from DNC to IMP. Island of Misfit Politicians. Just this week I heard of some, for whom Peter Fonda was the last straw. Yes, they realize he is just alone nut. 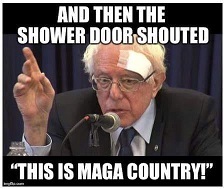 BUT NOT A SINGLE DEMOCRAT POLITICIAN COMDEMNED HIM. NOT ONE. Yep, add to that, Mad Maxine telling people to essentially harm Conservatives. Even libs can't deal with that kind of hatred, so #walkaway is gaining even more tractiion..
Why would they? They are the same people who have an insatiable thirst for abortion. I think there's still probably a 70-30 mix for dems, the 30 being the disgusting bastards who love the abortion- BLM- antifa -LGBT mess, and the 70 who don't really want to know about it, just want to be democrats because they think the party is still JFK-Lieberman-Zel Miller. Pretty much like islam. You won't catch ANY of them dissing jihad or ISIS or terrorism. But there's probably 60-70% who would rather not be involved or asked about it. #WalkAway Campaign Urges Fed-Up Democrats to Leave the Party. A new grassroots movement is urging Democrats who are fed up with the ugly direction the party has taken in recent years -- especially since President Trump was elected -- to "walk away." The #WalkAway campaign is "dedicated to sharing the stories of people who can no longer accept the current ideology of liberalism and what the Democratic Party has become," the group's Facebook page states. Some left long ago. Many of us have recently been “red-pilled”. Some here have wanted to leave for some time, but have feared the consequences they might suffer from friends or family if they walk away. This group is here to encourage and support those on the left to walk away from the divisive tenets by allowing people to share their stories, or watch the video testimonies and read the posts of others who have walked away. They are well on their way to "walkaway or be an accessory to murder". 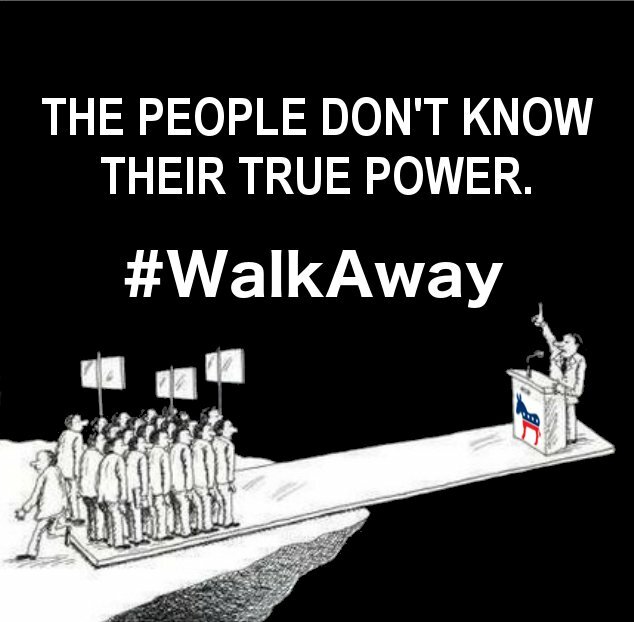 Solar, Taxed, Walks.....I think this #walkaway movement needs to stay on the front page. We all know liberal Democrats come to this site. Some to bust chops and some to get the info that is going on. If they see folk they can relate to they just might be opened up to the truth and man does this guy have a lot of truth to tell. I've been looking for good videos on #WalkAway and I haven't found a single one, that is, until you posted this one. That is by far the best one out there. Instead of stickying this, let's keep this thread alive for awhile, it'll get far more views that way, I'll sticky it eventually. If this turns into a mass exodus the party would literally go bankrupt. Well, they are actually in debt. The RNC will have to spend all of that on security. The democrats have gone completely fascist. Like caged animals waiting to be euthanized, some are fighting, their lives depend on it.